Do you have any kind of guarantee on your work? Yes - we do guarantee our work, however, we cannot guarantee someone else's. This means that if we go to repair a sign that has been moved or otherwise tampered with, there will be a charge assessed for that work. 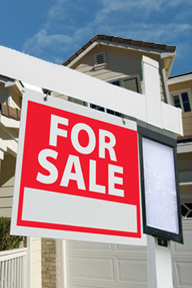 Please contact us directly with any sign-related issues and encourage your sellers to do the same. We provide Residential Real Estate Sign Installations, Real Estate Sign Post Installation, Real Estate Sign Posts, and Real Estate Sign Riders in Sun Prairie, WI.